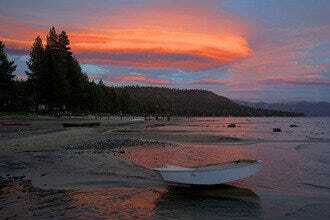 Lake Tahoe has repeatedly been voted one of the top places for a romantic getaway. It's also one of the best places to pop the question–with a view of the big, blue lake in the distance. 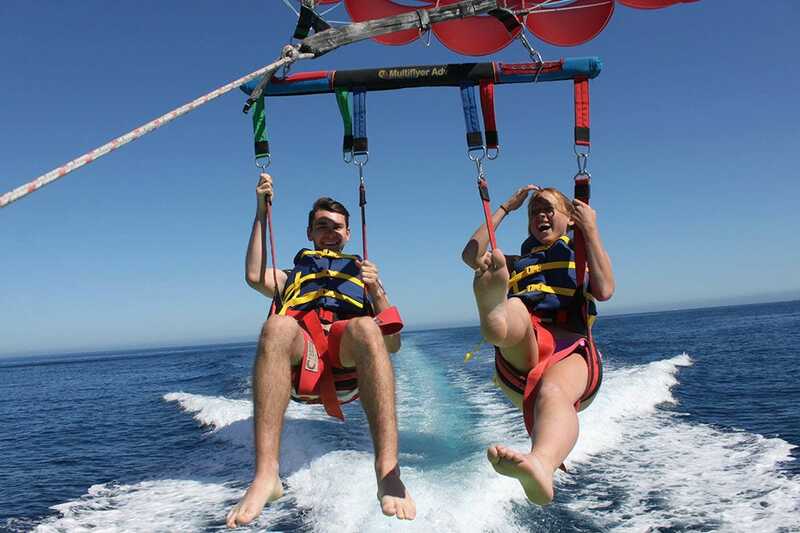 Most of the activities on this 10Best list are located outside and some activities are seasonal, but you can choose between summer's parasailing over the North Shore or even wintertime tandem skydiving over Tahoe and the Carson Valley. 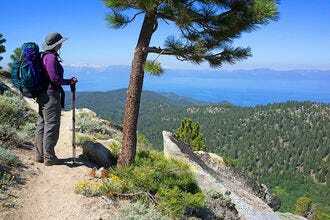 If you and your partner are hikers, visit the Emerald Bay area (one of the most picturesque places on the lake) and hike either down to Vikingsholm Castle or up into Desolation Wilderness. If you want to just sit on a beach and relax with a picnic and bottle of wine, check out Sand Harbor all times of the year. The beach is especially nice in the fall and winter when the summer crowds are gone and you can spend some time alone. For the ultimate in romance, check out the area's natural hot springs–including the clothing-optional Sierra Hot Springs. 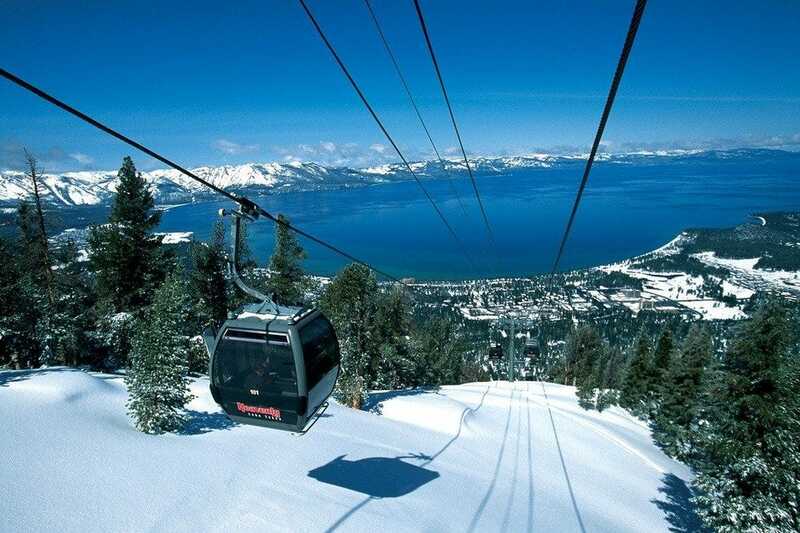 The Gondola at Heavenly is open during the winter for skiers and non-skiers and open all year long for visitors to the lake who want a spectacular view of Lake Tahoe. The ticket to the top is a little pricey ($38), but you can stay at the top as long as you want. 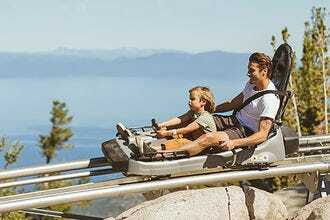 Each 8 passenger car leaves from Heavenly Village on the Southeast side of the lake and takes about 5-7 minutes to get to the top of the mountain. At the first stop you can get out and walk around on the platform. There are seats and some picnic tables as well. You can buy a ticket with a lunch voucher for the Tamarack Lodge at the top of the resort if you want to get something to eat or you can bring your own food to the first platform and just sit and enjoy the view. At the top of the mountain is a snow play area for children. David Walley's 1862 hot springs resort is nestled in the shadow of the Sierra Nevada Mountains, in Genoa, NV. This year-round resort features a a fitness center, separate women's and men's steam rooms and dry saunas, and a heated freshwater outdoor pool. There are another five outdoor hot pools with various temperatures. The large pool is best for small children. 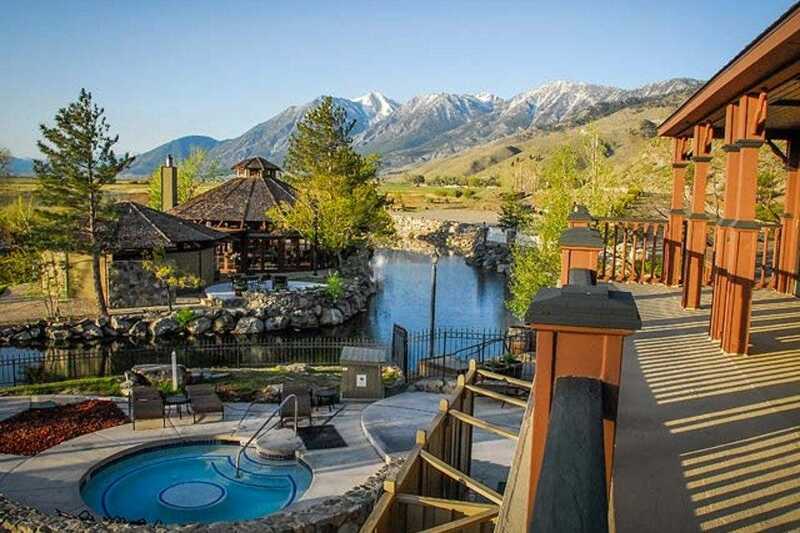 The resort also has dozens of outdoor lounge chairs and wonderful views of the Carson Range, Job's Peak and the Carson Valley and the local wildlife protection area. Treatments at the Spa at David Walley's Resort include massages, salt glows, mud wraps, aromatherapy, deep massages and seaweed wraps. 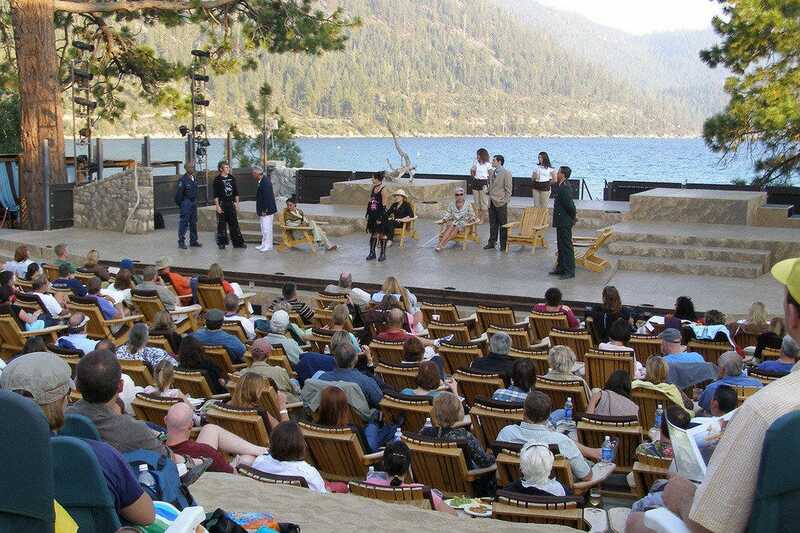 Every summer for over 30 years, Tahoe residents and visitors have been entranced by the timeless words of William Shakespeare, set against the dramatic backdrop of Lake Tahoe and a starry sky. Comedies, tragedies, and even a special performance featuring Shakespeare's complete condensed works delight patrons who settle into Adirondack chairs and munch on gourmet fare from the "food court" â" actually, several booths set up by local restaurants inside the gates. Perfect for a first date or a family outing. Many visitors bring their own picnic baskets and wine to enjoy during the performance. The event offers several ticket prices and seating areas including VIP seating. Basic seating still gives you a great view of the stage and the water and you can stick your feet in the sand. Head to the event early during the day for good parking and maybe even come up in the morning and spend the day at the beach and in the water. Skydive Lake Tahoe offers tandem skydives over Lake Tahoe with professionally trained tandem instructors. 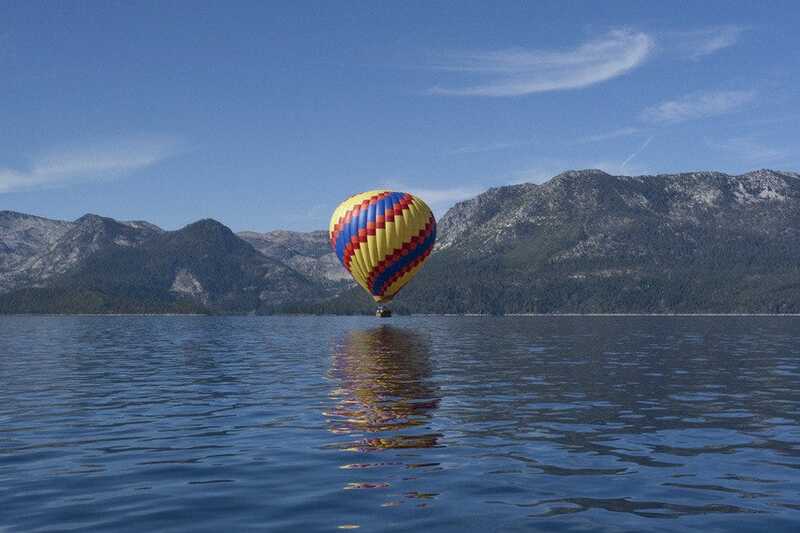 Flights take off from the small town of Minden near Carson City, Nev. and take passengers up over 12,000 feet above Lake Tahoe. Each passenger will free fall for over a minute before the parachute deploys at 5,500 feet and lands them safely back on the ground. 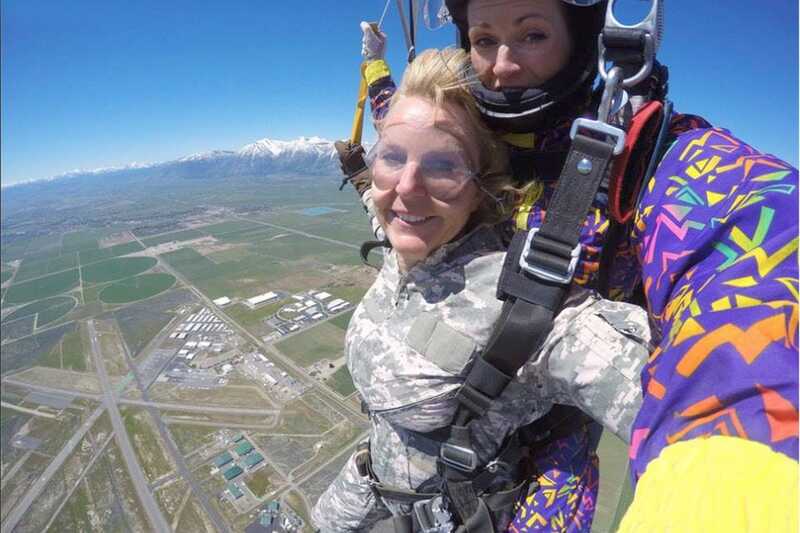 A Tandem Skydive Certificate jump costs $210 per person. Pay an extra $70 for photos or videos or combine the two for only $120. Skydive Lake Tahoe is open all year long (weather permitting) but only on Monday, Thursday, Friday, Saturday, and Sunday from 7:00am-7:00pm. 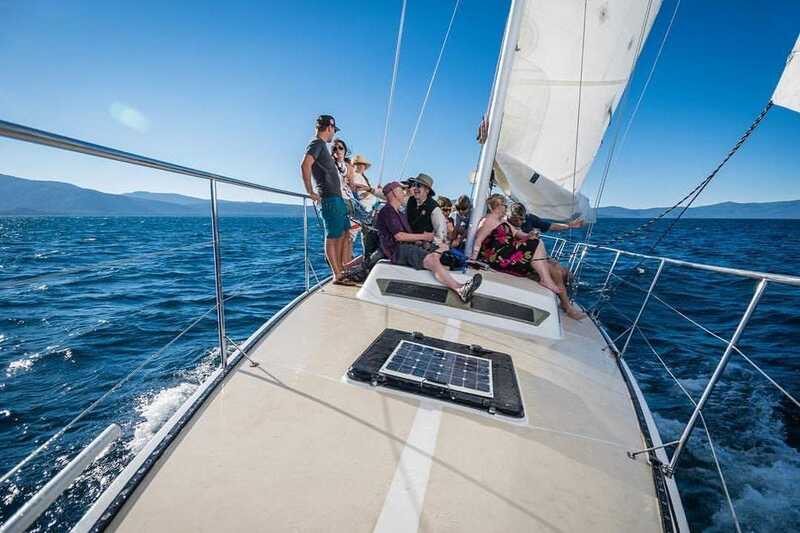 Tahoe Sailing Charters not only offers two sailboats to choose from for your Tahoe cruises, but they also offer they beautiful boats for private charters. The company offers several cruises around Lake Tahoe on a 36' power yacht, the Tahoe Dreamer, or a 50' sailboat, the Tahoe Cruz. The Tahoe Dreamer is a catamaran that is available for 12 passengers and offers cruise to various parts of the lake. The Tahoe Cruz offers both afternoon and sunset charters for 30 passengers. 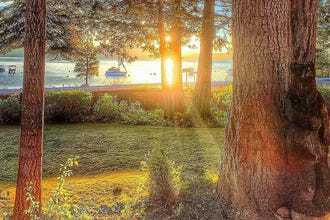 The Tahoe Cruz offers cruises along the beautiful West Shore of the lake and the tour includes views of the estate used for the filming of "The Godfather." 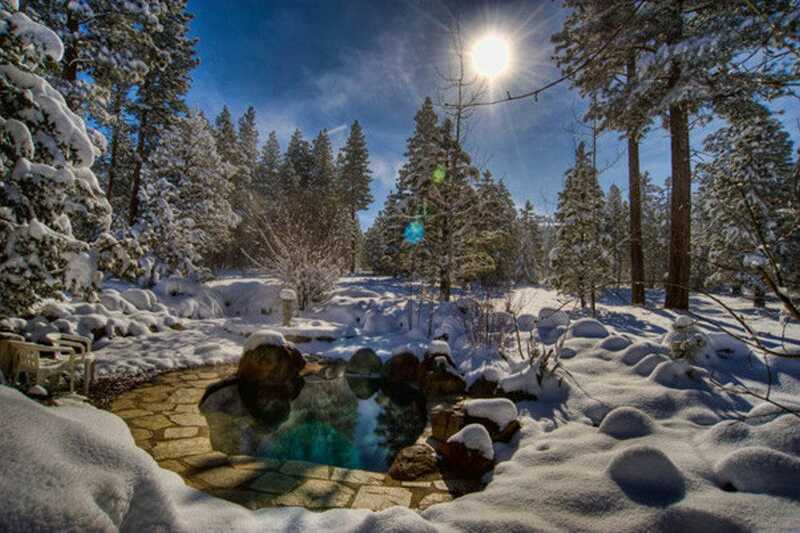 Sierra Hot Springs is located about 40 minutes north of Truckee in the Sierra Nevada mountains. This non-profit retreat and workshop center has several options for clothing optional bathing including a large warm swimming pool, a hot pool inside the Temple Dome and a few forest pools scattered among the pine and aspen forest. The center also offers spa services and a sauna. The main lodge is open for guests to relax during the day or as a hotel during the night. The lodge has a community kitchen where guests can cook meals and the Philosophy Cafe offers dinner on certain nights (please check with the hotel). The cozy lobby has a large wood stove, a library and large soft couches for lounging around after your soak in the hot water. 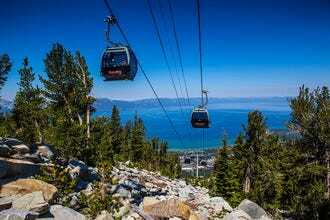 Clearly Lake Tahoe is one of the best ways to see the deep, blue depths of this mountain lake. Clearly Tahoe rents out private, clear bottom kayaks where you can see dozens if not hundreds of feet into the water. 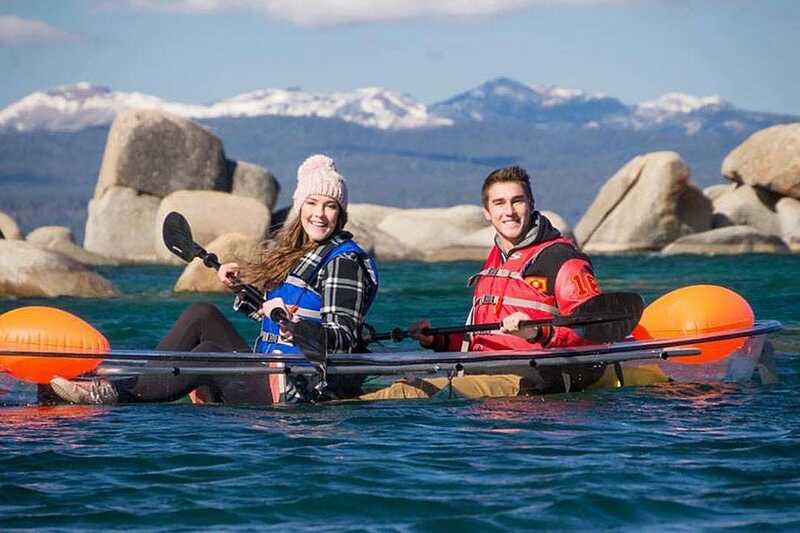 Each kayak can fit 1-2 people and includes paddles, preservers, delivery and setup. 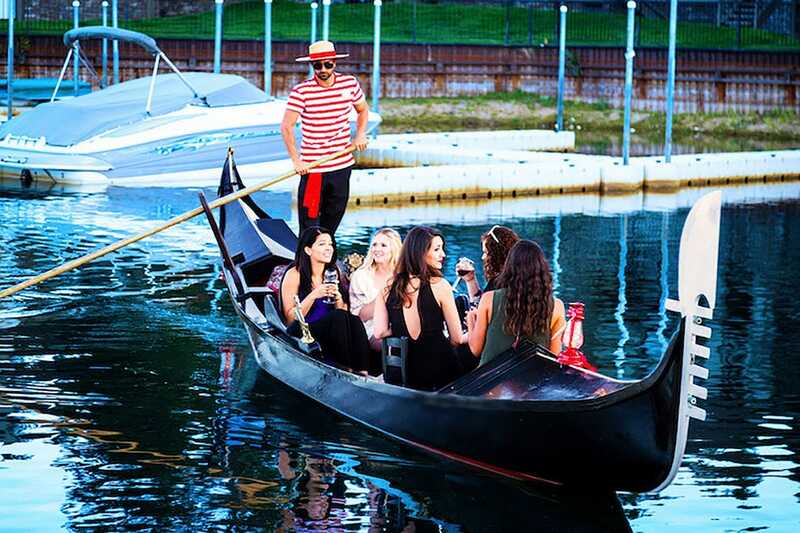 A 2 hour tour costs about $75 for a single boat and $95 for a double boat. 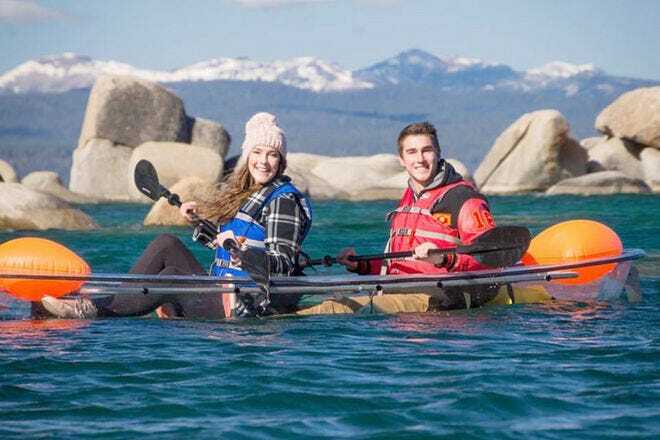 Kayaks can also be rented for 1/2 days and 6 hours. 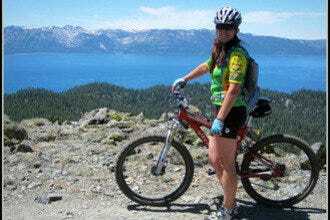 Clearly Tahoe offers group tours and events as well as guided tours of various parts of the lake.